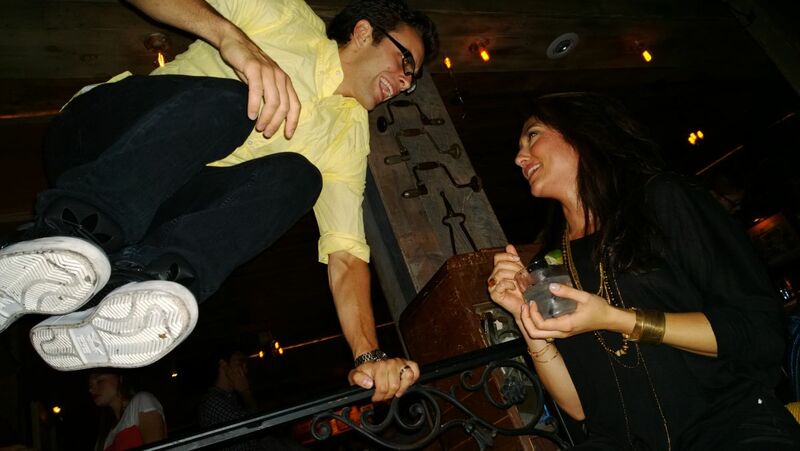 The new 41MP Lumia 1020 cameraphone has a proper xenon flash that will work at any shutter speed. 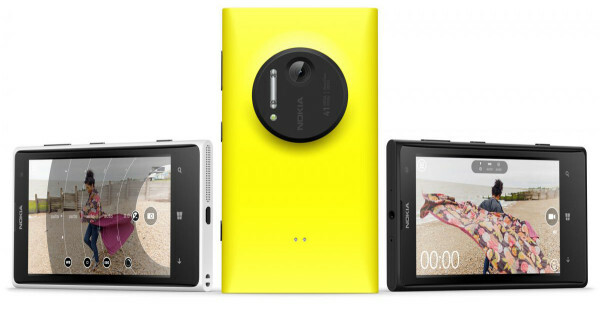 Mobile studio snappers interested in an especially sociable camera might want to give the new Nokia Lumia 1020 a look. Unlike other leading smartphones such as the HTC One, Samsung Galaxy S4 and iPhone 5, the Lumia 1020 has a proper xenon flash instead of the LED-based illuminators that cameraphone users usually get lumped with. So instead of buying supplementary LEDs just to get enough light for social photos with friends, the Lumia should have the same capabilities as a dedicated compact camera. Since manual slave flashes are cheap nowadays and many people already choose to own smartphones, this could give you the chance to play with lighting and forgo buying a dedicated premium compact or DSLR camera. Would you like to synchronise flashes with a cameraphone? Announced at the same time as the phone itself, the Nokia Pro Camera app lets the user adjust shutter speed, Iso sensitivity, white balance and manual focus (aperture is fixed). So conceivably one could pick a quick shutter speed and then go nuts overpowering the sunlight with cleverly-slaved external flash units outdoors. The lack of a viewfinder is somewhat offset by the 38-megapixel output, which can be endlessly re-cropped — handy if composing with the screen becomes a challenge in bright sunlight. It being a smartphone, other apps will be available too, including Windows Phone 8 Lenses, Hipstamatic’s Oggl Pro and submissions to Nokia Future Capture competition. 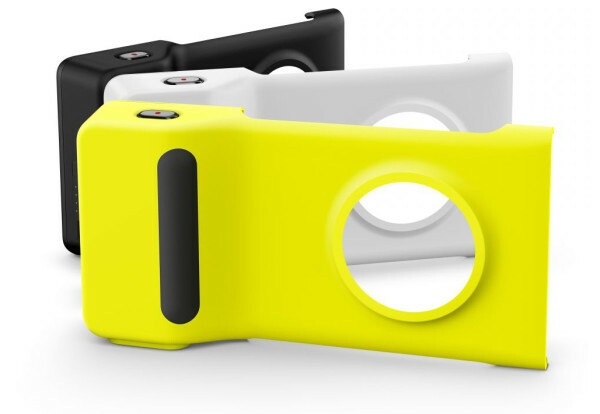 There’s no hotshoe or sync port on the Lumia 1020, but there is an optional camera grip (PD-95G) that gives you a tripod mount, larger hand grip and supplementary battery said to extend shooting time by 55 minutes. One of the main criticisms levelled at the original Samsung Galaxy Camera was its poor battery life, so hopefully this will keep the device running long enough to last between charging sessions. And unlike the Galaxy S4 Zoom, you can remove the bulky grip when you just want a normal phone in your pocket. We’ve been playing with the Fujifilm X20 and Canon Powershot G15 this week, but one of their main pitfalls is the lack of native WiFi connectivity. Could enthusiasts dispense with high-end compacts entirely with the advent of smartphones like these? Or will there always be a place for dedicated cameras? Share your thoughts in the comments below. In the USA, the Nokia Lumia 1020 will be exclusive to AT&T, available on a 2-year contract with an up-front payment of $199. The UK will see it from O2, Three and Phones 4U, but pricing hasn’t been announced yet. Telefonica (O2) will reportedly be getting an exclusive 64GB model while all other units have 32GB of (non-expandable) storage. For more information on the Lumia 1020, visit the Nokia product page.